As a leading exhibition stand builder GH Display will work tirelessly to create you a stand that wil surpass all others. Call us today on +44 (0)1733 570222 to obtain a quote. 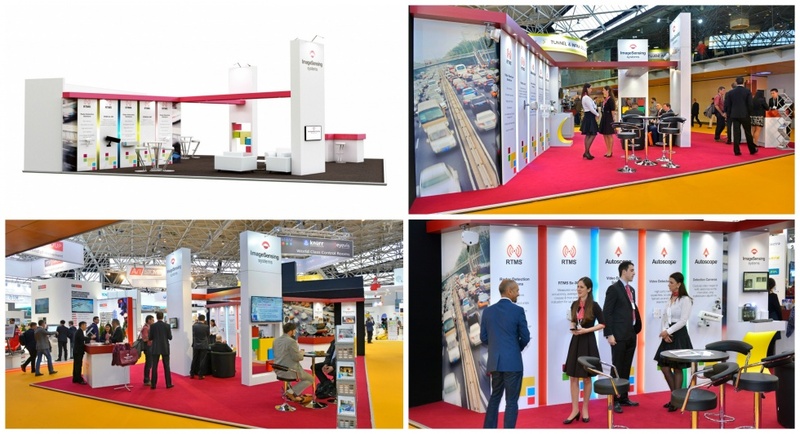 We are a family run business and have steadily grown over the last 40 years to become a leading exhibition stand builder. We are proud to serve our customers who return to us year after year for the reliable service we provide, alongside the high quality display stands and exhibition equipment we manufacturer from our workshops in Peterborough. We provide a one stop shop for all your exhibition requirements and provide services in the UK and overseas. 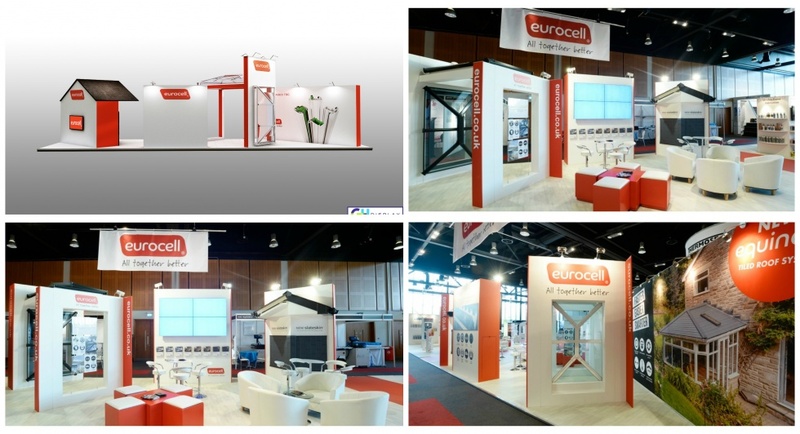 Our products include custom exhibition stands, modular displays and fabric exhibition stands. 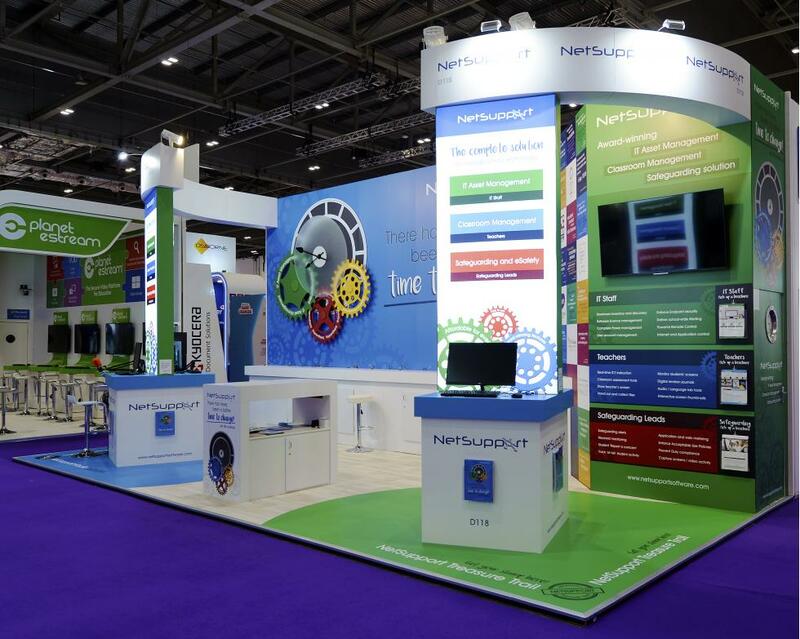 Our stand designers do not reuse or reproduce the same generic range of displays time and time again. Instead, they make it their mission to understand your brief, your business services, your exhibition objectives and your company image. It is these all important elements that our designers translate into a magnificent design, bespoke to your company and unique to your brand. You can choose to hire or buy your custom designed exhibition stand depending on whether reuse of the display for future shows is a requirement. 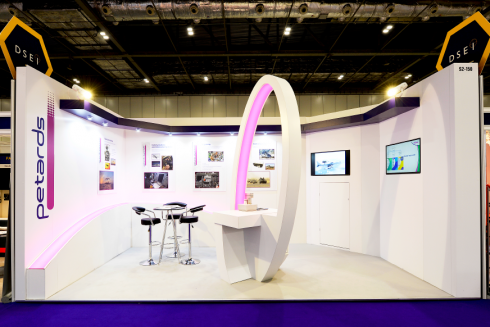 For business's that desire a new look for each exhibition, a hire stand is usually the preferred option. For those firms wanting to maximise on their return on investment and plan to exhibit more than two times per year, we recommend considering the purchase option. We are king of our craft and as such only produce the highest quality of display stands and exhibition graphics. We can build you a stand that will shine bright for one event only or an illuminating longer lasting exhibition display that will be built to a standard and style that lends itself well to reconfiguration and reuse. You tell us and we will deliver! Some of our valued team of stand builders have worked for GH Display for over 30 years and these Senior Project Managers oversea the build quality to ensure we maintain the same high standards for every customer and every event. Our stand building team work closely with our graphics department to ensure the finishing touch to your display is as perfect as the stand design and construction. “I would like to thank you and the team at GH Display for the amazing stand you designed and provided us. We had an excellent show and the response has been amazing. Thank you for the time you spent with us on the design and being patient with us with the changes we kept making, even at the last minute. You completely fulfilled the brief which was to create a stand that had the WOW factor, easy to build, reusable and of course within budget. We chose GH Display for your knowledge and enthusiasm for exhibition display and construction, you gave us 100% from the start to finish. I would like to thank you for the ongoing support even whilst we were constructing the stand, the 24 hour hotline was invaluable and apologise for interrupting your weekends and family camping trip! I really don’t think we would have got this level of support from anywhere else. Your team have been fantastic throughout, friendly and very helpful, and we look forward to using GH Display very soon." “During the build of the stand we were regularly kept up to date with progress and any information or actions we were required to complete were communicated in a timely manner. We were invited to view the stand during the build so we could see exactly how the stand would look ahead of the show and make minor alterations if required. This is the first time we have ever seen a stand pre show build and it really helped build our confidence. It was clear at this point we had found a great supplier who delivered what was promised and met all our expectations. A large amount of pre planning was required as the installation of the stand and of our products needed scheduling to ensure both GH Display and our fitters had suitable time, tools and materials to deliver a swift build. Considering the complexity of the stand build it was amazing that the stand was complete and we had left the venue by 5pm the day before show opening! This was by far the most complex stand we have ever attempted to build and GH Display not only delivered this to a very high quality build and finish but also did so well within our agreed budget. Following many bad experiences with stand builders in the last 5 years over 12 exhibitions, our faith has been restored by working with GH Display, they are without a shadow of doubt the best stand builder we have ever worked with. I can be certain we will have a long partnership and I would not hesitate to recommend GH Display. Fantastic company, great service and a joy to work with." "The service from GH Display was simple, quick and professional. The production staff were highly experienced, exceptionally creative and super friendly. As a result, our exhibition stand at LAMMA 2016 was perfect for our needs and cast a shadow over that of our competitors. Kirkby Tyres Ltd highly recommend GH display and will certainly be working with them for years to come"
"We recently placed an order with GH Display for an external exhibition system as part of the Develop North festival of photography in Aberdeen. We were delighted with the quality of product and service we received from John, Nick and the rest of the team. The units were made to a very high specification and were very simple to construct on site. The team were able to provide a fast turn around time on the order and delivered them in advance of the requested deadline, giving us valuable extra time to prepare the exhibition installation. John was always on hand for advise, going above and beyond to help us with our enquiries throughout the process. I would highly recommend GH Display and will look forward to working with them again in the future. Many thanks! " "Great experience with John and his staff. Always offer advice and suggestions, and the end result is always better than we expected. Highly recommended." “Grand Designs Live worked very well for us, in large part due to the stand design. The large-scale graphics were very engaging and the light box worked well to encourage people to stop and interact with us. We had a relatively small shell-scheme stand, but the design made the entire space work hard and enabled us to present ourselves on a high quality ‘bespoke space-only’ level. The design’s flexibility means we can adapt the graphic elements and take the stand on to at least two further shows this summer – giving us greater value for money. The team at GH Displays was highly committed and professional and helped us achieve a great outcome in a relatively short space of time. They were great to work with and I’d recommend them highly”.